should provide assistance to children, youth, women, the elderly, persons with disabilities, indigent persons and underprivileged persons to be able to have a quality living, and shall protect such persons from violence or unfair treatment.S. 71, 2017 Constitution. shall enjoy the same rights and liberties as those enjoyed by other persons, except those restricted by law specifically in relation to politics, capacities, disciplines or ethics.S. 27, 2017 Constitution. A Constitutional provision on national reform calls for "appropriate amendments and revisions to the law relating to duties, powers and missions of the police".S. 258, 2017 Constitution. The Royal Thai Police is the primary law enforcement agency in Thailand, although the military continue to carry out law enforcement tasks. In a strictly unavoidable circumstance, to protect police discipline, repress police officers who caused recurrence, or to force the police officer who left their duties to return and fulfill their duties, the commander may use firearms or force, and if such acts were done in good faith and proportionate with the cause of the action, such commander or his assistant shall not be subject to any criminal or civil punishments. With respect to firearms, no standard-issue hand guns are carried by the Royal Thai Police. Police officers must buy their own weapon. Their use should be regulated by domestic law in accordance with international law and standards. performance of or commission to perform duties of a government official, official or employee of a government agency, State agency, State enterprise or local government organisation, which unjustly causes injuries to the complainant or the public whether such act is lawful or not. S. 13(b), 2009 Organic Act on Ombudsman. about reports of torture and other ill-treatment, extrajudicial executions and enforced disappearances against, inter alia, human rights defenders, including in the context of the southern border provinces.Human Rights Committee, Concluding Observations on Thailand, UN doc. CPR/C/THA/CO/2, 25 April 2017, para. 21. Ensure that cases are reported and that prompt, impartial and thorough investigations are carried out into all allegations and complaints concerning the unlawful and excessive use of force by law enforcement officials and the military, including torture, enforced disappearances and extrajudicial killings, including in the context of the southern border provinces. It should also ensure that perpetrators are prosecuted and, if convicted, punished with appropriate sanctions.Human Rights Committee, Concluding Observations on Thailand, UN doc. CPR/C/THA/CO/2, 25 April 2017, para. 22. There is no regional human rights court in the ASEAN region. 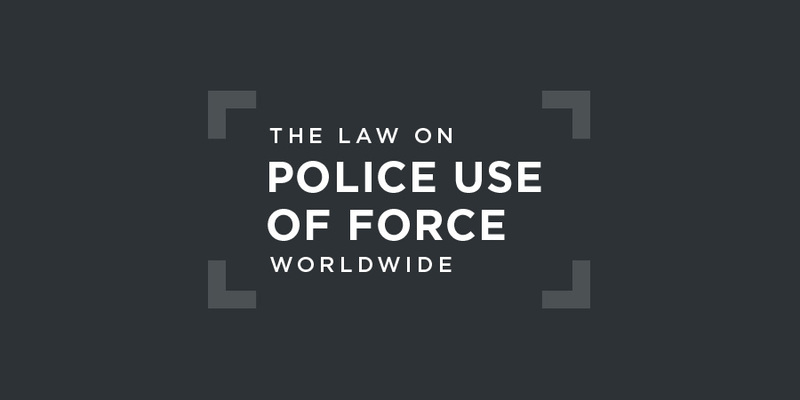 There is little evidence that excessive use of police force is effectively repressed under national criminal or civil law.